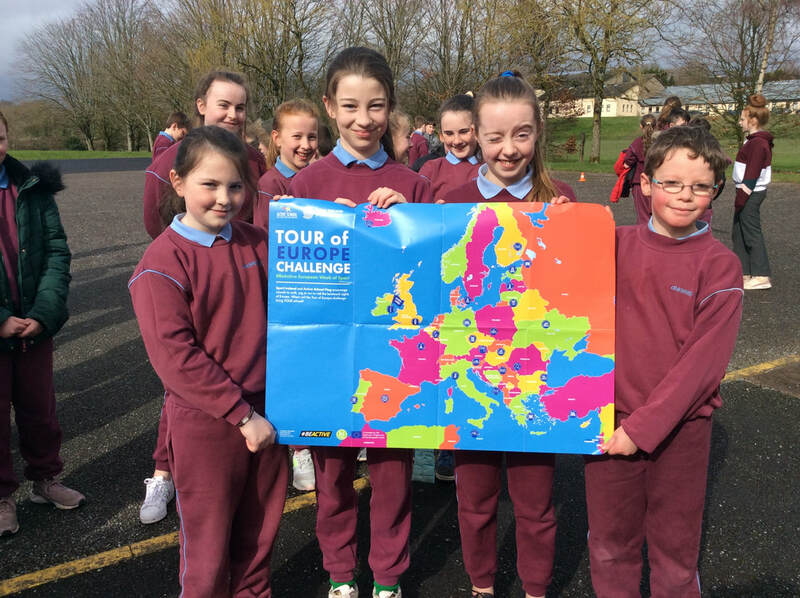 The children have been 'Running around Europe' throughout the month of March. The infants have now reached Paris, Luxembourg, Berlin and Prague. 1st & 2nd have reached Brussels, Bern, Bratislava and Madrid. 3rd & 4th have reached Copenhagen, Stockholm, Warsaw and Budapest while 5th & 6th journeyed to Vienna, Rome, Bucharest, and Athens!